We’re getting ready for the CLA Game Fair (19-21 July, Ragley Hall, Warwickshire) and we’re very excited to be launching the Charley Chau Raised Wooden Dog Bed at the Fair! The lovely clean lines and simple design of our Raised Wooden Dog Bed give it a contemporary feel but with a timeless quality, equally at home in both modern and classic interiors. It’s fitting that we’re launching this stunning bed at the Game Fair, a celebration of British country life and rural businesses, because it’s the result of our fantastic collaboration with Tracy Kerry of Cottage Garden Hen House in Lincolnshire. We met Tracy at the Burghley Horse Trials last year when we were stopped in our tracks by one of her spectacular Hen Houses sitting on the grass just along from our stand! Quirky, fun and quintessentially British, the sight of this extraordinary creation made us smile and we were soon joking about keeping chickens and living “The Good Life”. And then we looked more closely and realised that we were looking at an object that had been lovingly hand-crafted, of exceptional quality, quality that we rarely see today because of modern flat-pack lifestyles. Tracy has lived in Lincolnshire most of her life, surrounded by a menagerie of animals that has included dogs, cats, ponies, chickens, geese, goats, sheep and even pot bellied pigs at one time! No wonder then that Tracy was destined to focus her talents on something that involves her love of animals. We set out to work with Tracy to design a bed that is stunning and of exceptional quality; one that could never be mistaken for a mass-produced “bang ‘em out quick” bed made from a few planks of cheap wood nail-gunned together, and one that doesn’t look like a hybrid of a dog bed and a child’s cot! This bed really is a labour of love - hand-crafted with great care and attention to detail, and finished with five separate coats of Farrow & Ball Estate Eggshell eco-friendly paint. We've selected three gorgeous colours as standard but we can also finish the bed in any of the 132 colours in the Farrow & Ball range so that you have a perfect match for your home. We feel very lucky that we met Tracy, and that what started as mutual admiration of each other’s products has resulted in this beautiful Raised Wooden Dog Bed. We love our Raised Wooden Dog Bed and we love working with Tracy Kerry of Cottage Garden Hen House! The Raised Wooden Dog Bed will launch on 19 July 2013 at the CLA Game Fair. Visit our stand (D0322) at the Game Fair to be the first to see this beautiful bed in the flesh! 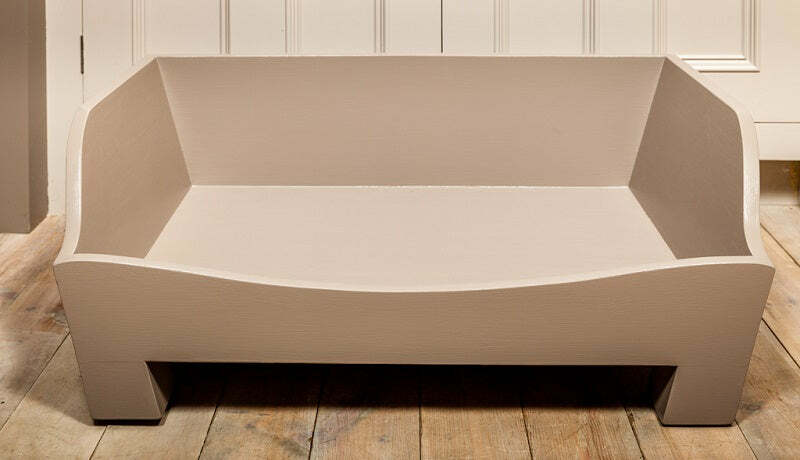 Or preview it online now: The Raised Wooden Dog Bed. For more information about Cottage Garden Hen House visit: www.cottagegardenhenhouse.co.uk.